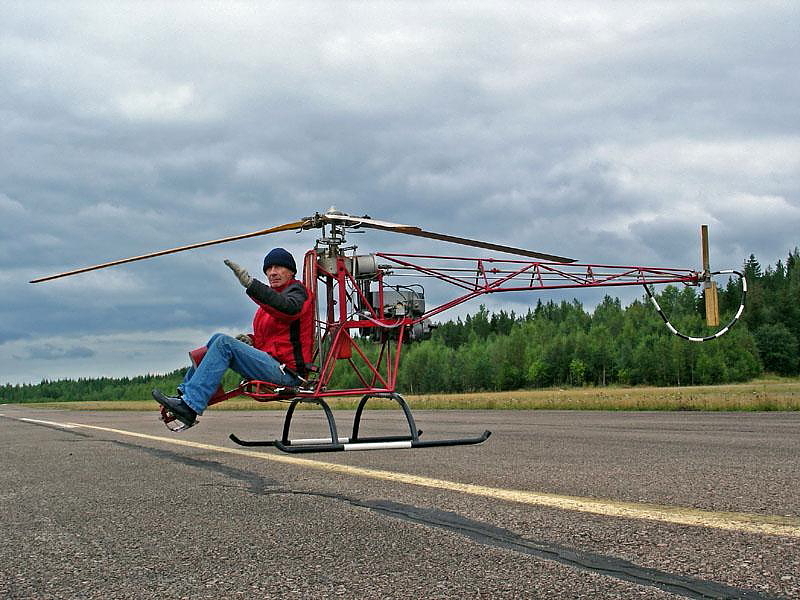 The museum exhibited a light helicopter is a kind of built Karhula Aimo Suomala completely self in the early 1970s. Helicopter was never registered. Flying Club boys renovated the long stoppage helicopter exhibition in good condition in 2007. Technical data: 2-stroke 436 cm³ Kohler K440-2A snowmobile engine. Fuselage length 4,0 m. Rotor diameter 4,4 m and ja helicopter's height 1,5 m. Empty weight 80 kg.